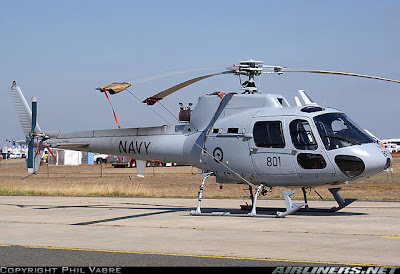 Ratheon Australia has been awarded an In Service Support contract for the Royal Australian Navy's (RAN) Squirrel helicopter fleet in a move to bring the support services for the fleet under a 'single more efficient and effective contract arrangement'. Greg Combet, Minister for Defence Personnel, Material and Science made the announcement yesterday on behalf of the Defence Materiel Organisation (DMO). Under the new contract, Ratheon will provide management, engineering, maintenance, and supply services for the fleet for the next five years, at an annual cost of $9.5 million. Included in the contract are four one year options to extend the arrangement, enabling In Service Support for the Squirrel fleet to be maintained until its planned withdrawal 'late in the next decade'. 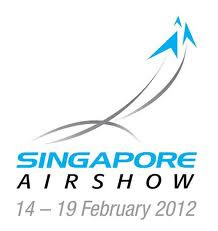 The RAN retains 13 Aerospatiale AS350BA Squirrel helicopters as training aircraft. Specifically, the fleet is used for 'lead in helicopter training. The training role includes the conversion of all Navy pilots to rotary wing flying, preparation of pilots for operational flying and flying observers and aircrewman for their basic utility training'. The Squirrel fleet originally provided interim aviation capability for the RAN's Guided Missile Frigates, and served with all helicopter-cabable RAN ships during the 1991 Gulf War, providing shipping surveillance, top cover for merchant ship boardings, mine searches and light logistics support. 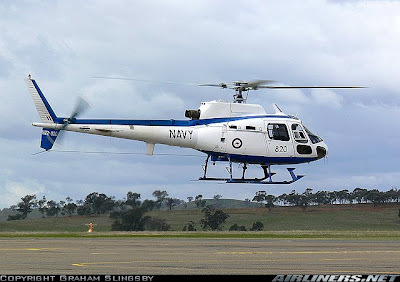 The fleet was upgraded to AS350BA models in 1995, improving capability and performance until they were replaced by the S-70B-2 Seahawk in dedicated embarked operations capacity in 1997. The fleet had a short return to operations in 1999 as part of the RAN's contingent for the East Timor crisis. The fleet is based at HMAS Albatross in Nowra, on the NSW South Coast. 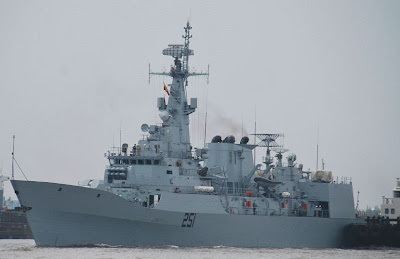 Karachi: China on Thursday delivered the first of four state-of-the-art frigates commissioned by nuclear-armed Pakistan from top ally Beijing, a naval spokesman said. "The first F-22P Frigate constructed for the Pakistan navy at the Hudong Zhonghua Shipyard in Shanghai was delivered to Pakistan on Thursday," said Lieutenant Commander Shakeel Ahmed. 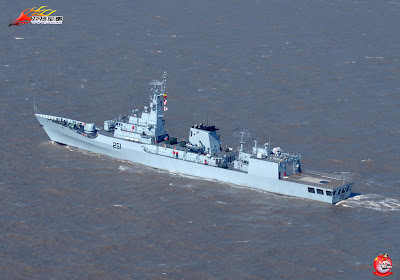 In keeping with contracts signed between China and Pakistan in 2005, the frigates will be equipped with anti-submarine helicopters, surface-to-surface and surface-to-air missiles and other defence systems. "The F-22P frigates will not only enhance the war fighting potential of the Pakistan navy but will also strengthen the indigenous ship-building capability of the country," said Ahmed. The announcement came two days after Pakistan hit out at India, branding its rival's first nuclear-powered submarine "detrimental" to regional peace and vowing to take "appropriate steps" to maintain a "strategic balance". Relations between nuclear-armed rivals India and Pakistan have plummeted since Islamist gunmen killed 166 people in Mumbai last November, attacks that New Delhi blamed on banned Pakistani group Lashkar-e-Taiba (LeT). India on Sunday launched the first of five planned submarines by naming the 6,000-tonne INS Arihant (Destroyer of Enemies), powered by an 85-megawatt nuclear reactor that can reach 44 kilometres an hour (24 knots). China is Pakistan's strongest ally and Islamabad relies heavily on Beijing for its defence needs. Many Chinese companies operate in Pakistan and China is involved in the construction of a deep-sea port at Gwadar on the Arabian Sea. 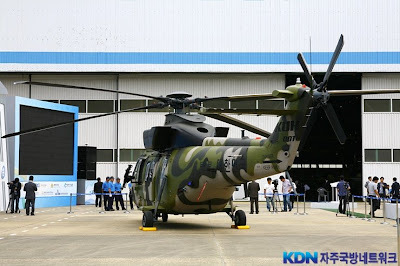 Partners Korea Aerospace Industries and Eurocopter have rolled out the prototype for the Korean Utility Helicopter programme, which is expected to deliver 245 aircraft for use by the South Korean army. 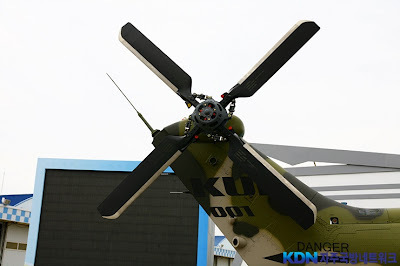 Conducted at KAI's Sacheon production plant, the roll-out came just over three years after the development effort was launched by Seoul under a deal worth $1.3 billion. KAI and its European partner are co-operating in the development of the 8t-class aircraft, with the latter providing its gearboxes, rotor mast and autopilot. The collaboration is "an enriching experience in terms of technological and multicultural exchange for both our teams", says Eurocopter chief executive Lutz Bertling. First flight of the prototype will take place in "the early months of 2010", says Eurocopter, with production deliveries to start during 2012. KAI and Eurocopter have also projected a potential market demand for up to 300 export examples. Over the next four months the Royal New Zealand Air Force (RNZAF) will take delivery of four Mitsubishi MU-2F fixed-wing aircraft and six Kaman SH-2F Seasprite helicopters. The Air Force has been looking into revitalising its aging training aids at RNZAF Ground Training Wing (GTW) Woodbourne near Blenheim to ensure its current and upgraded aviation fleet can meet the needs of New Zealand into the future. "This is an exciting time for the Air Force to move our maintenance training capability onto aircraft systems and airframes that are more akin to our current aircraft types, but also creating the training capacity and skill sets for our new aircraft capabilities and systems we will receive in the near-future," said the Deputy Chief of Air Force, Air Commodore Gavin Howse. The first two Mitsubishi MU-2Fs are due to fly in to Woodbourne from Texas, USA this weekend or early next week, depending on the weather. The second two aircraft are undergoing pre-flight maintenance and are scheduled to leave the USA early August. The six Kaman SH-2F Seasprite helicopters have been in storage in the Arizona desert for 14 years and are due to be shipped to New Zealand late 2009. 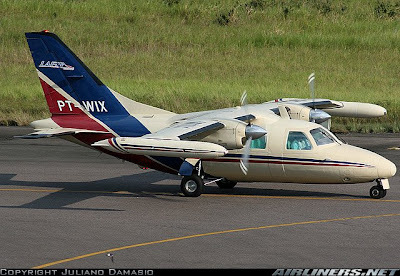 The aircraft will be used by the GTW for technical trade training. They will replace the aging de Havilland Devon aircraft and Bell 47 Sioux helicopters which have served their purpose but are no longer relevant training aids as the Air Force undergoes modernisation across all fleets. They allow future Air Force Avionics and Aircraft technicians to learn their trades on aircraft more relevant to the Air Force's modernised fleet. The Commanding Officer of GTW, Wing Commander Nigel Sainsbury said, "The delivery of these aircraft not only sees the successful and early achievement of another initiative within the RNZAF Strategic Plan, but consolidates GTW’s reputation as a 'First Class' provider of Aeronautical Training for the RNZAF, allowing future training to be aligned with the rest of the Aviation Industry in New Zealand." Please note that these aircraft are not intended to fly, but simply to train our maintenance personnel. Today, GTW Woodbourne is the Air Force's only support base. Units at Woodbourne are responsible for the training of recruits, initial officer training, trade training and command training. The Ground Training Wing was created in 1995 from existing units at Woodbourne and those relocated from Wigram and Hobsonville. Also at Woodbourne is the Air Force's only heavy maintenance facility for the repair of aircraft airframes, engines and avionics systems. This unit was commercialised in 1998 and is now managed by Safe Air Ltd. With a typical student population, Woodbourne has personnel strength of around 1,250. A submarine's greatest strength lies in its stealth. Remaining undetected beneath the waves, this platform has the unique ability to conduct a variety of operations which range from surveillance and reconnaissance to underwater warfare. On 16 Jun, the Republic of Singapore Navy's (RSN) submarine capabilities received a significant boost with the launch of the RSS Archer, the first of two Vastergotland-class boats purchased four years ago from Swedish company Kockums AB. PIONEER travels to the small coastal town of Karlskrona in Southern Sweden and hunts down the crew of the RSS Archer, who have been training in the cold and windy Baltic region for the past two years, to find out more about their new vessel, as well as to learn what life has been like under and over the seas. Retrofitted with a modern suite of advanced systems, the new boats were dubbed Archer-class submarines. These boast longer endurance, better stealth, as well as greater firepower compared to their Challenger-class predecessors, which are also of Swedish origin and were acquired by the RSN in 1995. These new capabilities have greatly extended the range, reach and survivability of the submarines, which will allow the crew to "bring back a wider range of operational options to the 3rd Generation Navy", shared Lieutenant-Colonel (LTC) Jack Nyeo, Commanding Officer of the RSS Archer. Most diesel-electric submarines need to regularly "snort" for air. This means the vessel has to come up to periscope depth (about 15m below the water surface) in order to recharge its batteries, thereby exposing its masts to aircraft overhead and ship radars. However, having an Air Independent Propulsion (AIP) system significantly enhances the Archer-class submarine's stealth capabilities by enabling it to stay submerged for twice as long as the Challenger-class submarine. "A scuba diver can remain underwater longer because he carries his own oxygen tank. 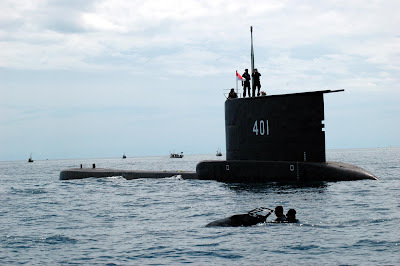 Similarly, we can remain submerged longer in a submarine with the AIP, thus preventing us from being detected on the surface so easily," explained Chief Engineer, 2nd Warrant Officer (2WO) Elangkanan Ramasamy. Besides the AIP, other improvements include the upgraded sonar system, which has doubled its detection range, as well as a combat system that can acquire, track and engage targets twice as far away as the Challenger-class submarine. Armed with a bigger weapon load of nine torpedo tubes, the Archer-class boat also packs a stronger punch against potential adversaries. As the submarines were originally designed to operate in the cold waters of the Baltic Sea, the RSN worked closely with the Defence Science & Technology Agency to refurbish the vessels for the higher temperature and salinity of Singapore's tropical waters. Improvements to hardware aside, a submarine's capabilities are dependent on the sailors who operate and maintain it. Comprising a mix of personnel who are freshly trained submariners as well as experienced ones who had previously served on the Challenger-class submarines, the 28-man crew of the RSS Archer found themselves better prepared and able to adapt to this new class of submarines with greater speed and ease. Thanks to the intensive training and sea sorties they underwent back home with the Challenger-class submarines, their overseas training stint this time was reduced from the previous duration of three years to two - despite the higher training tempo and greater complexity of systems on board the RSS Archer. "In the past, we had no prior knowledge of submarine systems, so we had to learn and understand the purpose and configuration of every system from scratch," explained 2WO Elangkanan. "Now, having built up our fundamental skills and knowledge with the Challenger-class submarines, we are able to focus on gaining more in-depth knowledge about this new class of highly automated submarines which have more complicated and interconnected systems." LTC Nyeo also credited the quick progress of their training to the quality of his dedicated and professional crew, as well as the strong rapport between the RSN and their Swedish counterparts. With more than 100 years of experience in submarine operations, the Royal Swedish Navy (RSwN) shared its expertise as it trained the pioneer batches of submariners from Singapore in 1996. The two countries have cooperated closely in exchange programmes and collaborative projects that stretch back to the 1970s. Captain Jonas Haggren, commander of the 1st Submarine Flotilla of the RSwN, who oversaw the training of the RSN servicemen, said: "They learn very quickly, and many of them have previous experience in operating submarines, so everything went at a quicker tempo. "They have also learnt about the new capabilities of this class of submarines, and picked up more challenging skills in advanced submarine warfare this time round." Explaining the critical need for stealth, LTC Nyeo said: "Even dropping something the size of a five-cent coin can be deadly because that's all it takes to give you away. We have to be very careful when opening and closing a door or hatch, and to mind our step because it can be very loud if you accidentally kick something." Sound discipline is thus a crucial aspect of life on board the vessel. Whenever the crew is carrying out a mission or exercise drill, non-critical machinery like the waste grinder, toilet pumps and the water-making plant are all shut down. This means prudent management of water consumption, with a shower roster that typically allows the men a two-minute shower once every two to three days, shared Sonar Specialist Staff Sergeant (SSG) Logesh Socklalingam. Dor chef SSG Derick Koh, the challenge comes in carefully planning and preparing his menu to match the exercise schedule. During silent routines, his cooking is restricted to baking, steaming and boiling so as to minimise noise. Deep frying is limited due to the smoke and sizzle it produces. Commenting on living in the confined submarine environment, Chief Sonar Specialist Master Sergeant (MSG) Eric Chua noted: "Unlike the surface platforms, we don't have the option of going up to take a breath of fresh air or enjoy the sunset." Open space is a luxury that the crew has to sacrifice. With narrow passageways and barely half a metre of headroom, claustrophobia is definitely not an option for any potential submariner. Optimising the use of every inch of space also means that each four-bed bunk is shared by eight crew members. '“The beds are only about half the size of those on a surface ship, and I remember banging my head in the beginning when I slept on the upper bed, but you get used to it pretty quickly," said SSG Logesh. This physical proximity has strengthened the bond among the crew members who know one another inside-out from living and working so closely together. Explaining the importance of keeping morale high and being considerate of a fellow submariner's quirks, SSG Logesh said: "When you're underwater, you can't afford to quarrel or make any mistakes. Each of us depends on the other for survivability, so it's natural for us to help and look out for each other, be it a simple task like preparing the tables for breakfast or during work." Indeed, a strong sense of interdependence and teamwork can be seen in the way the whole crew is cross-trained in the basics of all the different systems on board the vessel. Aside from their own field of specialisation, each member must be able to take over another colleague's job when needed. This is because speed is of the essence during emergency situations in an enclosed environment deep beneath the waves. A leak the size of a 20-cent coin could sink the boat in minutes, while smoke from a fire "spreads faster than you can ever run", shared LTC Nyeo. As such, the crew are trained to do the "blind man's walk", where they have to find and operate every necessary knob, valve, lever or button in the dark. "Down here, time is an especially vital factor. When something goes wrong, whoever is closest to the problem must be able to fix it immediately, and to do that, you have to know all the systems well," said 2WO Elangkanan. With the launch of the RSS Archer, the crew is looking forward to operationalising the submarine. This is expected to be completed in 2010. "Moving ahead, the challenge is to continue with the pace of progress, with the crew playing a more significant role getting the submarine ready for sea trials," said LTC Nyeo. MSG Chua shared the same sentiments, saying: "To us, training is never over, even more so now that RSS Archer has been launched. "We have to constantly keep ourselves in line with the changes and new upgrades, to ensure the smooth conduct and completion of sea trials so as to deliver the submarine back to Singapore on time." The submariners' close bond extends to the tightly knit group of families who accompanied them to Sweden. Since April 2007, 63 Republic of Singapore Navy (RSN) servicemen, together with 98 family members including spouses, children and parents, have moved to Karlskrona, a town just off the coast of the Baltic Sea. Most of the Singaporean community reside in Polhemsgatan, an estate near the Swedish naval base aptly nicknamed "Little Singapore", and food sessions or play dates for the kids are regular activities organised by the families. "Being so far away from home, we're like a second family to one another, so we make it a point to be there for each other," said Chief Engineer, 2nd Warrant Officer (2WO) Elangkanan Ramasamy's wife, Shailasri Nair. While making the transition from working full-time to being a homemaker was not easy initially, Jenny Tay, wife of Chief Sonar Specialist, Master Sergeant (MSG) Eric Chua, shared that she enjoyed the opportunity to experience the Swedish culture and cool climate. "Most importantly, I'm glad I had the chance to come here and support my husband during his training," she said. Indeed, many of the RSN crew, who cannot be contacted during long training sorties, expressed their appreciation for the understanding and strong support of their loved ones. Life in Sweden has also been a time of family expansion for the submariners, with nine babies born over the past two years, and three more on the way. Ms Nair, who is due to deliver her second child in September, told PIONEER she will miss Sweden when the time comes to leave. "My daughter attended school for the first time here when she turned four last year. She has even picked up Swedish and speaks it fluently to her teachers and friends," she said. "No doubt I'll be happy to return to Singapore, but there will always be a special place in my heart for Sweden." Shared space capabilities and technologies are seen as a key linchpin of Australia’s defense relationship with America, and Australia’s ISR (Intelligence, Surveillance and Reconnaissance) capabilities in general will be closely coordinated with the USA, and the US Pacific Fleet. 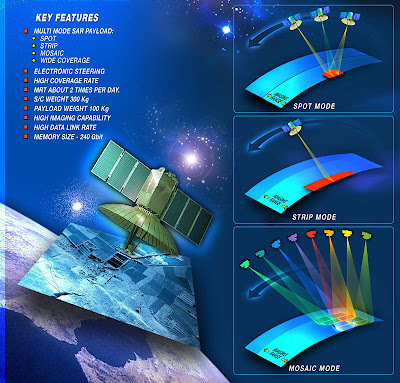 Australia will buy a remote sensing satellite, probably based on a high-resolution, cloud-penetrating, synthetic aperture radar. The USA will be given access to the system’s imagery. Note that India, facing a similar need, bought and launched an IAI TECSAR satellite from Israel. The Government will continue the Wideband Global SATCOM partnership with the USA, and will accelerate decision making around the Narrowband UHF satellite communications capabilities needed to support land operations. Options include commercial capabilities, partnership in American programs like MUOS, and cooperation with other countries. Like the USA, Australia is waking up to the threat and reality of cyber-attacks. The White Paper promises stepped-up investment in this area, to include a Cyber Security Operations Centre. On the flip side, Electronic Warfare against enemy ships, planes, and radars is seen as a strategic priority for Australia, who will be funding several projects in this area and establishing a Joint EW Centre to coordinate efforts across all branches of the ADF. The proliferation of satellite killers and space junk alike have led Australia to seek a focus on “space situational awareness” as the basis of research, and add a career stream for space specialists. The Australian Defence Satellite Communications Ground Station is located at Kojarena, 30 km east of Geraldton in Western Australia. 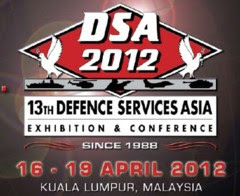 It is operated by the ADF Defence Signals Division [DSD]. As of November 2005, the base was staffed by 79 personnel, and housed five radomes and eight satellite antennas. The Kojarena station is a major Australian DSD signals interception facility, and is part of a worldwide system of satellite communications keyword monitoring known as Echelon operating within the wider UKUSA signals intelligence system. In November 2007 the Australian government announced the signing of a Memorandum of Understanding with the United States government for the building of an additional but separate facility within the grounds of the ADSCGS. This is to consist of three small buildings, three 19-metre antennas, and two smaller antennas making up a joint US-Australian ground station for the US Department of Defense Mobile User Objective System, a narrow-band networked satellite constellation for Ultra-High-Frequency satellite communications enabling secure all-weather and all-terrain 3-G mobile telecommunications. four MUOS ground stations, with the others being located Niscemi, Sicily (Naval Air Station Sigonella), Virginia (Northwest location) and Wahiawa, Hawaii (Naval Computer and Telecommunications Area Master Station Pacific [NCTAMSPAC]). Jakarta (ANTARA News) - Departemen Pertahanan menyatakan, pengadaan dua kapal selam baru bagi TNI Angkatan Laut akan ditunda sampai 2011, karena keterbatasan anggaran pemerintah. "Meski ada rencana kenaikan anggaran pertahanan pada APBN 2010 sebesar 20 persen, namun itu masih belum memadai untuk pengadaan alat utama sistem senjata seperti kapal selam dan pesawat tempur baru. Kenaikan anggaran masih diprioritaskan untuk pemeliharaan," kata Dirjen Sarana Pertahanan Departemen Pertahanan Mersekal Muda TNI Eris Herryanto di Jogjakarta, Rabu. Dikonfirmasi ANTARA di sela-sela peringatan Hari Bakti ke-62 TNI Angkata Udara, ia mengatakan, pembahasan pengadaan dua kapal selam baru bagi TNI AL untuk sementara dihentikan menyusul kebijakan pemerintah untuk menunda pengadaan alat utama sistem senjata strategis baru. "Bagi para negara produsen yang telah memasukkan proposalnya, kami terus lakukan kajian dan pendalaman dari mana Indonesia akan mengadakan, tetapi belum akan segera direalisasikan pengadaannya hingga 2011," tutur Eris. Indonesia sebelumnya telah membuka tender bagi pengadaan dua kapal selam baru pada 2010-214. 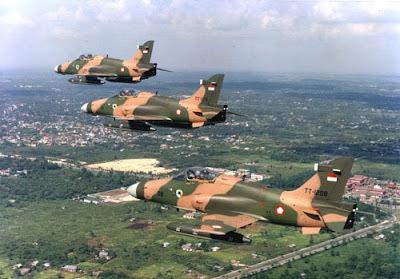 Untuk pengadaan kapal selam TNI AL ada beberapa negara yang menjadi pilihan seperti Jerman (U-209), Korea Selatan (Changbogo), Rusia (Kelas Kilo), dan Perancis (Scorpene). Kepala Staf Angkatan Laut (Kasal) Laksamana TNI Tedjo Edhy Purdijatno menyatakan, pihaknya telah melakukan kajian mendalam untuk spesifikasi kapal selam yang dibutuhkan sesuai tingkat ancaman yang akan dihadapi. 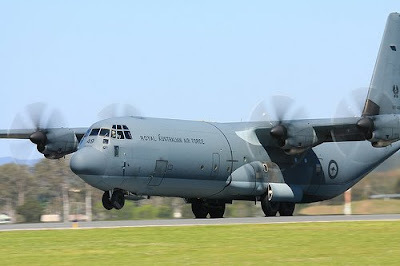 TEMPO Interaktif, Malang - Pemerintah Indonesia mengajukan penawaran kepada pemerintah Australia untuk memiliki pesawat Hercules C 130 tipe H. Atase pertahanan udara kedutaan besar Australia Kolonel Reymond Press mengatakan pemerintah bersedia membeli atau menerima hibah pesawat produksi Lockheed Martin Amerika Serikat ini. "Belum ada kepastian, tergantung keputusan Pemerintah Australia," katanya, di pangkalan udara Abdulrcahman Saleh, Selasa (28/7). Ia menyebutkan, sebanyak 12 pesawat Hercules tipe H akan dihentikan operasional pada 2013 mendatang. Hingga kini, pemerintah Australia masih mempertimbangkan apakah menjual, menghibahkan, atau menyimpan pesawat-pesawat tua itu. Seluruh pesawat tipe H akan digantikan tipe G yang tergolong generasi terbaru pesawat angkut Hercules. Menurutnya, kerjasama tersebut dilakukan antar negara sedangkan angkatan udara Australia Royal Australian Air Force tak memiliki kewenangan mengambil keputusan. Sejauh ini, kata Reymond, sebagian pesawat Hercules masih beroperasi untuk angkutan dan bantuan kemanusiaan. "Salah satunya digunakan latihan bersama TNI Angkatan Udara," jelasnya. Kegiatan latihan bersama TNI angkatan udara dengan Australia Royal Australian Air Force dilangsungkan mulai 27-30 Juli 2009. Latihan dengan sandi rajawali ini lakukan di pangkalan udara Abdulrachman Saleh Malang dan lapangan tembak Pandanwangi Kabupaten Lumajang. Sebanyak 21 tentara Australia dilibatkan dalam latihan menggunakan pesawat angkut jenis Hercules. Latihan bersama ini khusus untuk tugas kemanusiaan dan penanganan bencana alam. Yakni meliputi pengangkutan dan pengiriman bantuan melalui pesawat terbang, dengan ketinggian antara 600-3 meter. Latihan cargo delivery system ini telah berlangsung beberapa kali. "Saling bergantian memperagakan pengiriman bantuan udara, menjatuhkan barang dari pesawat," katanya. Ia menyangkal jika latihan ini berkaitan dengan isu perang melawan terorisme. Sementara itu, komandan pangkalan wing 2 pangkalan udara Abdulrachman Saleh, Kolonel Ismet Ismaya Saleh mengatakan kedua angkatan udara saling berbagi ilmu dan mengasah kemampuan militer. "Latihan ini direncanakan sejak lama, dilakukan secara rutin," jelasnya. TEMPO Interaktif, Jakarta - Kepala Pusat Penerangan Markas Besar Tentara Nasional Indonesia Marsekal Muda Sagom Tamboen mengatakan Australia pernah menawarkan hibah pesawat Hercules kepada TNI. "Niatan hibah itu berasal dari mereka, disampaikan beberapa saat setelah Aceh mengalami Tsunami," ujarnya kepada Tempo, Selasa malam (28/07). Menurut Sagom jenis pesawat Hercules yang akan dihibahkan adalah Hercules tipe C130 H. "Saat itu memang tipe itu yang ditawarkan," ujarnya. Jumlahnya berapa, Sagom mengaku hal itu belum dibicarakan. Mengenai kelanjutan hibah tersebut, kata Sagom TNI masih menunggu. "Saat ini kita sifatnya menunggu," ujarnya. Kalau benar akan terealisir, lanjut dia TNI merasa bersyukur. "Kalau tidak juga tidak apa-apa". Sebelumnya atase pertahanan Australia, Raymond Straus mengatakan bahwa Australia akan menghibahkan pesawat Hercules tipe C130H kepada Indonesia. Pesawat angkut itu adalah pesawat buatan perusahaan Locheck Martin Amerika Serikat. Greg Combet, Minister for Defence Personnel, Materiel and Science, today announced that the Defence Materiel Organisation (DMO), BAE Systems Australia and Australian Aerospace have signed a contract to provide a range of enhancements to the AP-3C Orion aircraft and associated ground support systems. 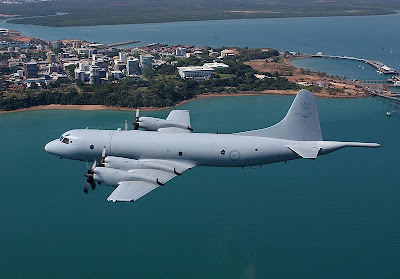 Mr Combet said the contract will provide a range of enhancements on the AP-3C Orion aircraft including improved Electro-Optic/Infra-red systems, Tactical Common Data Links, and upgrades to ground-based support systems. “The project will be delivered through the P3 Accord, an alliance between Defence, BAE Systems Australia and Australian Aerospace,” Mr Combet said. 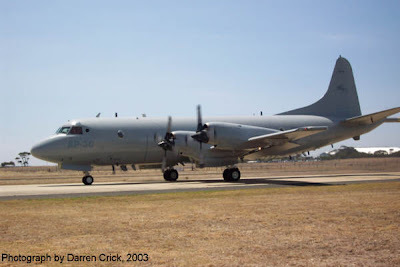 AP-3C Orion aircraft, which are operated from RAAF Base Edinburgh, play a vital role in Australia’s national and international maritime patrol, reconnaissance and strike capability. “The contract will also contribute to Australia’s skills base by creating at its peak in 2009, 50 additional civilian jobs, including technicians and engineers,” Mr Combet said. The value of the contract is A$31.1 million. Mr Combet made the announcement during a visit to RAAF Base Edinburgh. 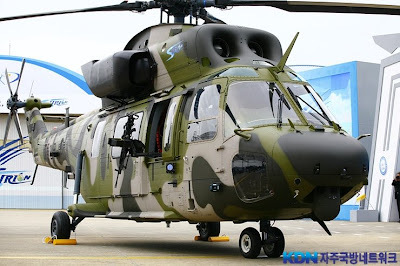 SEOUL - According to officials at the Defense Acquisition Program (DAPA), South Korean firm, LIG Nex1, will develop an indigenous mechanically-scanned array radar (MESA) for aircraft with the help of Israeli firm, Elta Systems. A signing ceremony will be held on September 3, 2009. The radar will equip TA-50 and FA-50 fighters, modified versions of the T-50 Golden Eagle supersonic trainer jet jointly built by Korea Aerospace Industries (KAI) and Lockheed Martin of the United States. The South Korean Air Force is buying 82 T-50 variants, 50 T-50s, 22 TA-50s and 10 T-50Bs modified for aerobatics. KAI signed a deal last December to develop and produce 60 FA-50s by 2012 to replace A-37 attack jets and F-4/5 fighters as backup to the Air Force's KF-16s and F-15Ks. Under the envisaged agreement, LIG Nex1 will push for developing an indigenous radar based on the Israeli firm's EL/M-2032 radar technologies, DAPA officials said. Officials hope that the radar will begin production in 2010 and enter service in 2011. In the mid- to long-term, the domestically-built radar is likely to be installed on upgraded KF-16 fighters and further developed to an active electronically scanned array (AESA) radar to equip “KF-X” fighters with technology transfers from Elta, sources said. Initiated in 2001, the KF-X program aims to develop more than 120 indigenous fighters by 2020 in partnership with foreign aircraft manufacturers. 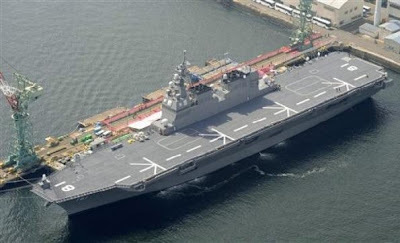 Pada tanggal 22 Agustus 2007, Japan Maritime Self Defense Force (JSDF) meluncurkan Hyuga, kapal flat deck baru dan besar, kapal ini telah dimulai pembangunannya pada Mei tahun 2006. 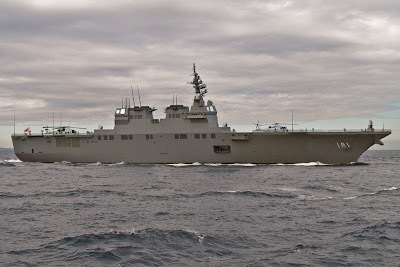 Kapal ini telah dilakukan commissioning oleh JMSDF pada 18 Maret 2009. Kapal ini mempunyai ukuran besar, dek rata, dan ditetapkan sebagai DDH, atau kapal perusak pembawa helikopter, untuk misi politik. 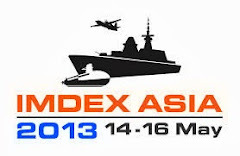 Jepang akan membangun dua kapal menggantikan dua DDH sebelumnya (Haruna class) yang sekarang masih dioperasikan armada JMSDF. JMSDF akan memesan dua kapal seperti itu untuk menggantikan dua DDH lainnya, dimana kapal pertama dari dua telah dilakukan commissioning masuk jajaran armada. Kapal Jepang ini mempunyai kemampuan membawa 4 helikopter ASW atau hingga 11 helikopter Chinook. 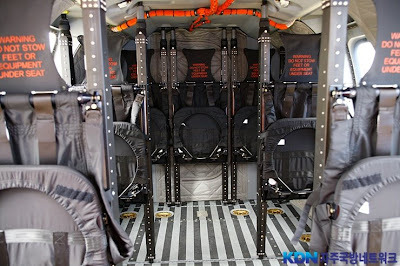 Jelaslah, jika mampu membawa 11 Chinooks, maka kapal ini akan dapat beroperasi dengan beberapa helikopter lebih kecil, mungkin 18-24. Selain kemampuan membawa pesawat, kapal ini akan memiliki kemampuan komando, kontrol dan komunikasi untuk memungkinkannya berfungsi sebagai flagships dan kapal komando untuk kapal-kapal lainnya dalam armada. Selain itu, dengan radar Phased Array Radars (PARS) modern, sebuah combat sistem terpadu, 16 sel VLS membawa misil anti pesawat 64 Evolved Sea Sparrow, dan dengan dua CIWS 20mm, kapal akan sangat mampu mempertahankan diri terhadap serangan udara. Bila melihat kapal ini, jelas bahwa kapal ini adalah sebuah kapal induk kecil seperi halnya kapal Induk UK Invincible class tanpa haluan ski-jump. DDH ini sebenarnya sangat dekat baik dalam ukuran maupun beratnya dengan Invincible class yang dapat membawa hingga 22 pesawat terbang (rotary dan VSTOL) dan menggunakan dua elevator mirip dengan yang terdapat di kapal ini. 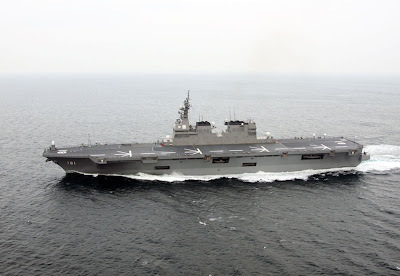 Jelas bahwa kemampuan kapal ini akan jauh melebihi sebagai pembawa empat helikopter seperti yang saat ini dinyatakan oleh JMSDF. 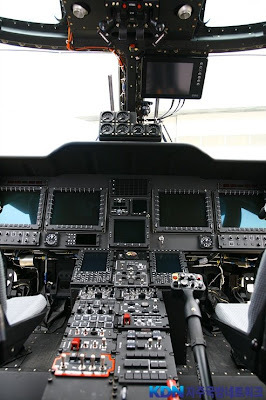 Seperti dikemukakan, kemungkinan kapal yang akan dapat membawa minimum 18 helikopter, dan akan mampu membawa pesawat sayap campuran mencakup jet VSTOL seperti Harrier II, atau pesawat baru seperti F-35B Joint Strike Fighter yang dikembangkan oleh Amerika Serikat untuk ditempatkan di kapal serbu amfibi (AAV) berdek rata. Hyuga tidak dinyatakan sebagai kapal serbu amfibi (AAV), decknya tidak cocok, tapi jelas dapat digunakan untuk memimpin serbuan udara di balik cakrawala, menilik ukurannya menjadi jelas bahwa ia dapat membawa jauh lebih banyak dari 350 awak sebagaimana yang dikemukakan oleh JMSDF. Angka 350 ini, untuk semuanya, baik awak kapal itu sendiri, juga awak pesawat atau prajurit marinir. Kapal yang didukung oleh dua mesin GE Transportation penggerak kereta api, masing-masing terdiri dari dua LM2500 dalam konfigurasi COGAG, masing-masing mengendalikan baling-baling melalui gearbox dan shaft. Kapal ini memiliki dua shafts. Setiap mesin menyediakan 25.000 daya kuda. Kapal kedua telah dimulai Mei 2008 dan diharapkan dapat diluncurkan pada akhir 2009, dan commissioning di tahun 2012. NEW DELHI, -India meluncurkan kapal selam tenaga nuklir pertamanya pada hari Minggu (26/7). Kapal Selam itu menggunakan reaktor nuklir bekekuatan 85 megawatt dengan kemampuan 24 knot (44km/jam) saat menyelam. Kantor berita AFP memberitakan bahwa Perdana Menteri Manmohan Singh menyebut kapal selam INS Arihant (penghancur musuh) sebagai "tonggak bersejarah dalam kesiapan pertahanan negara". Kapal selam seberat 6.000 ton tersebut diluncurkan di kota Visakhapatnam dan merupakan produksi pertama dari lima yang direncanakan. Kapal selam itu juga akan dilengkapi dengan torpedo dan rudal balistik dengan awak sebanyak 95 orang. "Kami tidak punya tujuan agresif dan kami tidak bermaksud mengancam pihak manapun," kata Singh saat peluncuran. India kini menjadi anggota dari negara pemilik kapal selam nuklir, selain China, Perancis, Amerika Serikat, Inggris, dan Rusia. Kapal itu akan memasuki masa uji coba selama dua tahun di Teluk Bengal sebelum bertugas penuh, tulis Press Trust of India. Sebelumnya India punya perjanjian sewa beli dengan Rusia untuk satu kapal selam nuklir, selain telah menandatangani kontrak seharta 2,4 miliar euro untuk memiliki enam kapal selam Franco-Spanish Scorpene. The internal security operations of the Philippine Army in Negros received yesterday 17 brand-new troop carrier vehicles worth P35.4 million that were bought from South Korea. Maj. Nathaniel Villasor, 303rd Infantry Brigade Civil Military Operations chief, yesterday said the purchase of the military vehicles form part of the Capability Upgrade Program of the Armed Forces of the Philippines. Each of the five infantry Army battalions assigned in Negros will get three military vehicles, while two were given to the 302nd and 303rd Infantry Brigades, military records show. Villasor said the Korean-made all-terrain military vehicles, are designed for use in small unit operations. The 17 military vehicles, which came from the Philippine Army headquarters in Metro Manila, arrived yesterday at the BREDCO Port in Bacolod City, and were distributed to the 1st Scout Ranger Battalion, 11th Infantry Battalion, 61st IB, 62nd IB, 79th IB, 302nd and 303rd Infantry Brigades. The upgrading of mission-essential equipment for the military aims to bolster the government’s capability to address internal security threats, including the insurgency. PANGKALAN Udara (Lanud) Tarakan tipe C di Kalimantan Timur resmi akan dioperasikan, Senin (27/7) mendatang. Dengan demikian, jumlah keseluruhan Lanud di wilayah Komando Operasi TNI Angkatan Udara (Koopsau) II sebanyak 20 Lanud, tiga di antaranya adalah Pangkalan Induk masing-masing berada di Makassar, Madiun, dan Malang. Hal ini diungkap Panglima Komando Operasi TNI AU, Marsekal Muda (Marsda) Yushan Sayuti saat dikonfirmasi di Makassar, Jumat sore (24/7) via ponselnya. Dijelaskan, pesawat tempur dan pesawat pengintai mempunyai kemampuan jarak jangkau untuk melaksanakan operasi sehingga perlu membentuk pangkalan udara (Lanud) yang tepat berada di garis depan. Pasalnya, salah satu yang menjadi fokus pengawasan dan pengamanan adalah wilayah di perbatasan antara Indonesia dengan Malaysia. Dengan demikian, daya jangkau pesawat tempur dan pesawat pengintai memiliki waktu cukup lama beroperasi. Kata Yushan, sebelumnya operasi TNI AU bergerak dari Lanud Balikpapan. 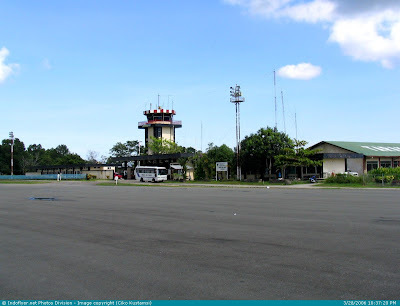 Namun, karena dari Tarakan dari segi jarak lebih dekat dan efektif, maka selanjutnya operasi dialihkan ke wilayah Tarakan dengan memanfaatkan run way bandara penerbangan sipil yakni bandara Juata. "Sebenarnya tahun 2006 lalu kita telah menerima Surat Keputusan dari kepala staf Angkatan Udara tentang pembentukan Lanud Tarakan Type C sehingga tidak menumpang lagi di penerbangan sipil namun karena sarananya belum cukup pengoperasiannya pun tertunda. Namun Senin nanti dibuka dan saya sendiri yang resmikan Lanud Tarakan ini," jelas Yushan. Ditanya soal Alat Utama Sistem Persenjataan (alutsista), Panglima Koopsau II ini menjelaskan, alutsista tetap berada di pangkalan induk. Namun jika melaksanakan operasi di wilayah Kalimantan Timur, alutsista akan digerakkan ke Lanud Tarakan. HMS Daring, the Royal Navy's newest and most advanced warship, has been formally commissioned into the fleet today in front of the ship's sponsor, Her Royal Highness the Countess of Wessex. The Countess, who launched the Type 45 destroyer in Scotland in 2006, was principal guest at the colourful 'Christening' ceremony at Victory Jetty, Portsmouth Naval Base, today, Thursday 23 July 2009. Hundreds of guests including Commander-In-Chief, Admiral Sir Trevor Soar, and families of the 190 ship's company attended the ceremony which was conducted by Chaplain of the Fleet The Venerable John Green. Her Royal Highness inspected the front rank of a Guard of Honour, comprising 24 members of the ship's company, and the Band of Her Majesty's Royal Marines, Portsmouth. HMS Daring's Commanding Officer, Captain Paddy McAlpine, read the Commissioning Warrant and the National Anthem was played as the ship's Jack and White Ensign were raised and the commissioning pennant was unfurled. The ceremony also included a flypast by two Typhoon aircraft from 11 Squadron RAF which is affiliated to the ship. Capt McAlpine said: "It gives me immense pride to be here at this momentous occasion as the ship's Commanding Officer. 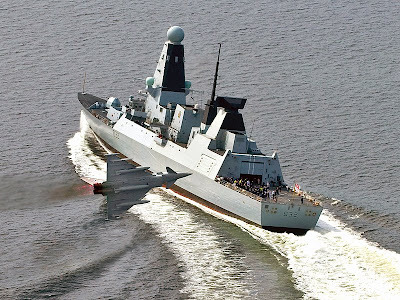 HMS Daring opens a new chapter in the illustrious history of the Royal Navy. "I am fortunate to have an excellent ship's company who are all working extremely hard to bring HMS Daring, the first of class, into service so that she may continue to contribute to the Navy's global commitments and provide air defence at a level previously unseen. "It is difficult to imagine how much effort and behind the scenes work has gone into preparing this day and we are honoured to have Her Royal Highness here to celebrate our commissioning." The ceremony was rounded off in traditional Royal Navy fashion with the cutting of a commissioning cake. Performing the honour was the CO's wife, Janette, and Able Seaman Daniel Small who celebrates his 17th birthday today and is the youngest member of the ship's company. Her Royal Highness then went on board HMS Daring for a short time before joining a reception for guests on the quayside. The Countess of Wessex, and HMS DARING's Commanding Officer Captain Paddy McAlpine inspect the Guard of HonourHMS Daring is the first of six Type 45 destroyers and all will be based in Portsmouth. 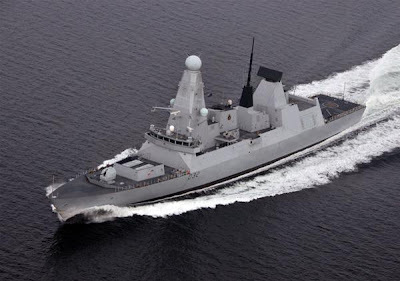 The second, HMS Dauntless, is due to make her first entry in to Portsmouth early next year. The Type 45 Destroyer is the largest and most powerful Air Defence Destroyer ever built for the Royal Navy. It will provide UK Defence with a world-class military capability. 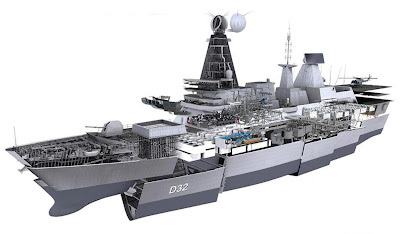 The prime role of the Type 45 Destroyer will be Air Defence: protecting UK national and allied/coalition forces against enemy aircraft and missiles. It will carry the UK variant of the world-leading Principal Anti-Air Missile System (PAAMS) including the UK designed Sampson multi-function radar. This system, which has been named Sea Viper by the Royal Navy, will set new standards in Air Defence, capable of defending the Type 45 and ships in its company from multiple attacks from even the most sophisticated anti-ship missiles and aircraft. In addition to its world class Air Defence capability, one of the Type 45's greatest assets is its versatility. 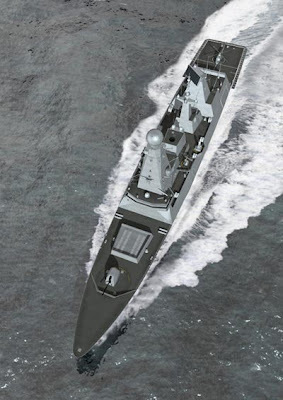 The Type 45 will be able to act as a base platform for a deployable Headquarters. It is the only platform of its size in UK Defence able to do this and will result is an improvement in the UK's expeditionary capability. The Type 45 will be able to embark up to 60 troops (over and above its own complement) and their equipment, and support them with a modern medical facility that can deliver surgical capability. Type 45 also has a large flight deck that can accommodate helicopters up to and including the size of a Chinook. The ship can also take up to 700 people if necessary to support a civilian evacuation from war zones or natural disasters. The Type 45 is not only a world class Anti-Air Warfare Destroyer it will also act as a multi-role, general-purpose platform, able to contribute effectively to a range of world-wide maritime and joint operations. MARION, MA, -- Lockheed Martin’s [NYSE:LMT] team developing a Communications at Speed and Depth (CSD) capability for U.S. Navy submarines has successfully completed the system requirements review. The capability will enable secure, two-way communications between submarines operating below periscope depth and at tactical speeds with surface ships, aircraft and land-based assets. All classes of U.S. Navy submarines will be equipped with this transformational capability. The Lockheed Martin-led industry team, which includes Ultra Electronics Ocean Systems and ERAPSCO, a joint venture between Sparton Electronics Florida, Inc. and Ultra Electronics – USSI, will deliver three types of two-way communications devices and associated submarine and shore equipment. Two of the devices – the tethered expendable communications buoy (TECB) Iridium system and the TECB–UHF system – are launched from submarines. The third is an acoustic-to-RF Gateway (A2RF) system that can be launched from submarines and aircraft. Since the January contract award, the team has completed both the integrated baseline review and system requirements review milestones on schedule. Hardware delivery is expected in mid-2010.